It’s natural to be intimidated by something new or different. An Office 365 rollout brings with it many enhancements that make life easy for IT pros and end-users alike. Being comfortable with the changes can be a challenge without a warm introduction. 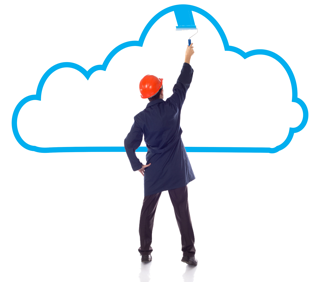 For some end-users, the cloud – and technology relying on it – are still very foreign concepts. Without the tools and confidence to succeed, they could become overwhelmed and not feel comfortable after the migration completes. The more you can do to help them feel fully supported before, during, and after the migration, the less you’re likely to get flooded with How do I…? calls. There are many things to consider in an Office 365 migration plan. None may be as important as ensuring you’ve planned for adoption activities. Without them, you run the risk of losing end-user momentum. Many organizations find success by starting their activity planning with the organization’s leadership members. Communications – widespread announcements of what to expect from the new environment, goals of the migration, timelines, etc. Engagement events – special seminars and trainings to help familiarize end-users with the Office 365 environment. Top-down introductions – ask leaders and managers to promote the organization’s unified support for the new platform. If leadership believes it, workers will, too. Amp up the resources – plan to have training classes, webinars, and self-help resources ready to address common use questions that may will arise. Office 365 packs a lot – and ever-expanding – suite of features into its frame. Training end-users to work efficiently with all of it would be impractical at best. As you work with leadership on the migration strategy, identify and prioritize a list of behavior changes that would benefit the organization. Use that list as your guide to establish your training plan. But don’t try to do it all at once. Select the first few changes that matter most, educate your end-users until you see the behavior change, then select the next few items on the list. This manageable, iterative approach keeps Office 365 fresh and continually at the center in your end-users’ minds. KnowledgeWave assists with the training of many Office 365 rollouts. If you’re looking for a starting point, check out our sample training plan for inspiration. Identify a Success Manager (Project Manager) to coordinate all aspects of the migration with every department. Elect Champions and Power Users to serve as SMEs for end-users during the initial and ongoing phases of migration. Rely on use cases to add relevancy for end-users. Gamify the migration. Make the learning fun and you’ll build positive excitement for the change. It’s easy for IT pros to lose sight of the struggles end-users may encounter with Office 365. Successful migrations include close partnership with leaders, and developing plans that include adoption and training activities. (We've written before about what part IT should play in Office 365 adoption, if you're interested.) Your end-users will appreciate you for being considerate of their challenges, and need you less since you showed them how to work well in the new suite.